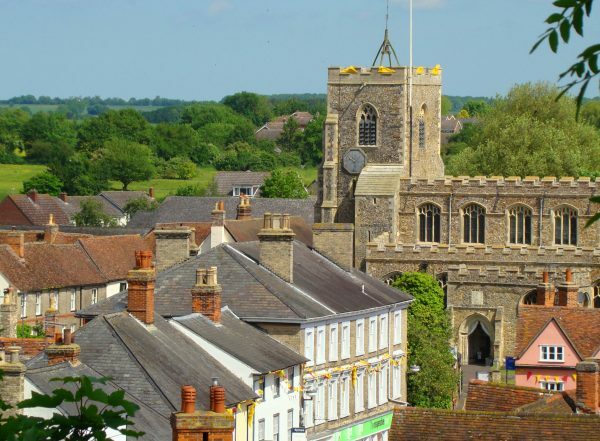 Clare is the smallest Town in Suffolk. 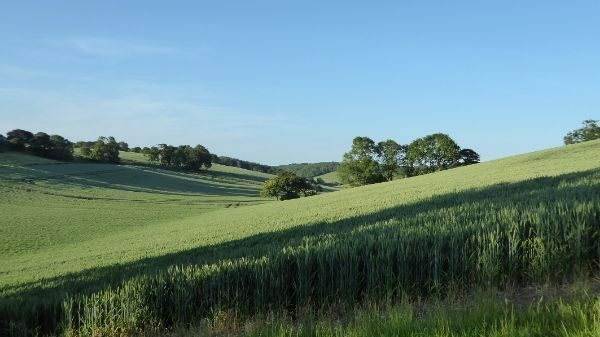 It is a Wool Town, situated in the Stour Valley, amongst rolling countryside that is perfect for walking. 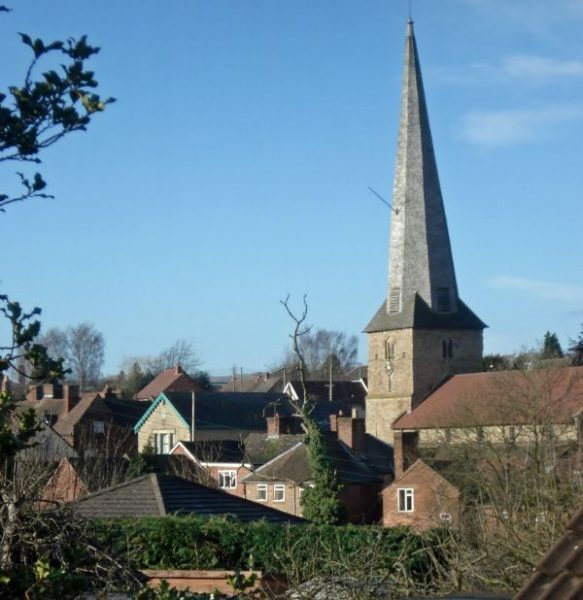 Small market town (population 3600) in South Shropshire straddling the A4117 between Kidderminster and Ludlow with its noted twisted spire on the parish church. Within reach of the Clee Hills and the Wyre Forest and not far from the Shropshire Way. Serving the surrounding villages ("Cleobury Country") with shopping and services. Corsham is an historic market town set in wonderful walking country beside the Cotswold Area of Outstanding Natural Beauty. The town’s old limestone buildings and stone tiled roofs have appeared in many film and TV productions. Although close to busy Bath and Chippenham, peacocks often wander the town’s quiet streets. 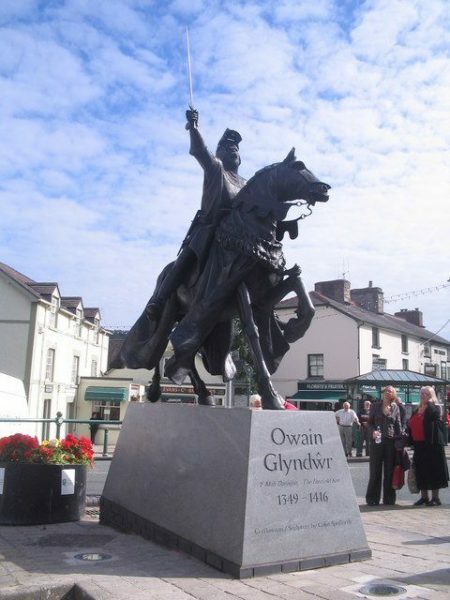 Corwen is a Town with so much to offer the walker. 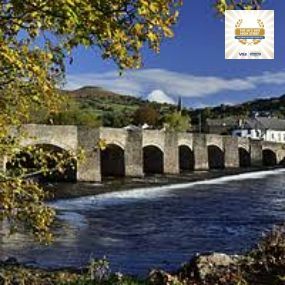 From high mountains on the Berwyn to gentle strolls down to the River Dee as a Town Corwen has something for everyone. Looking down on the town is the iron age hillfort of Caer Drewyn and the longer distance paths of The North Berwyn Way, The Dee Valley Way and The Brenig Way start in the Town. Corwen is steeped in history with ancient oak woodland walks and drovers trails we offer a walkers paradise for all. Cafes, restaurants and pubs compliment your experience and the Town offers Walkers a very warm welcome. Crowned as the UK's Best High Street, Crickhowell is an ideal base for exploring the surrounding area. 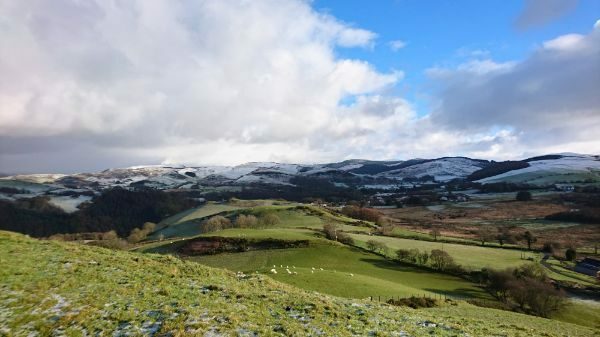 Crickhowell is a small market town with a thriving High Street with independently owned and family-run shops where you’ll find a friendly, personal touch and plenty of local produce. Cromer, a town that has something for everyone, especially Walkers. Come for the day or stay longer: Accommodation to suit all pockets from B&B’s to Glamping. Food to satisfy all tastes - from fish & chips to Michelin style catering. We are the hub of the Coast Path and several other long-distance Trails – sand, sea, and sunshine galore, surrounded by North Norfolk’s AONB. When the walking day is done we provide a wealth of entertainment. 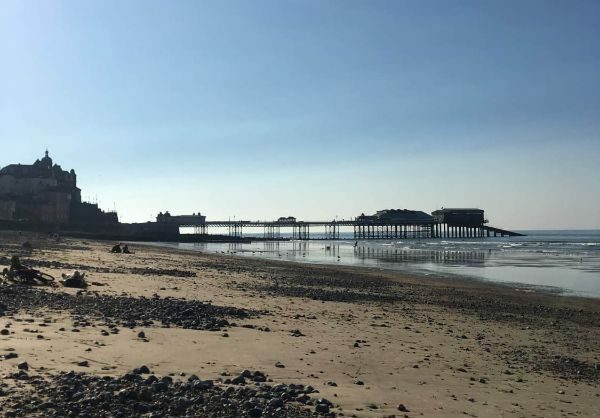 Cromer a place for all reasons, provides a warm welcome for Walkers in all seasons. Upper & Lower Denby; Emley & Emley Moor; Scissett & Skelmanthorpe. An area of beautiful countryside, it has an excellent network of PRoWs - and a rich and fascinating heritage. Dereham is a market town in the centre of Norfolk, its varied walking routes linking to the Norfolk Trails network and the developing England Coast Path. The town has shops, cafés and pubs, with many interesting places to visit, including Dereham Windmill, the Mid-Norfolk Railway and Bishop Bonner’s Cottage. Devil's Bridge is a village located near the Cambrian Mountains and 12 miles outside the coastal town of Aberystwyth. The village itself has been popular since Victorian times when people traveled here to view the spectacular waterfalls created by the river Mynach falling 300 feet into the river Rheidol. Disley in north-east Cheshire sits at the edge of the Peak District, within easy reach of Manchester, Stockport and Buxton by bus and train, and in the midst of varied scenery that includes the wooded valley of the River Goyt, Pennine moorland and the meandering Peak Forest Canal. 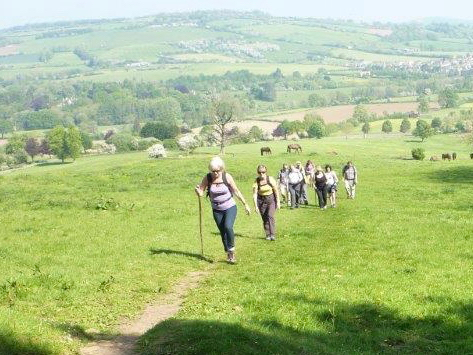 Over 36 kilometres of well-signposted and well-maintained footpaths offer gentle rambles and more strenuous walks. 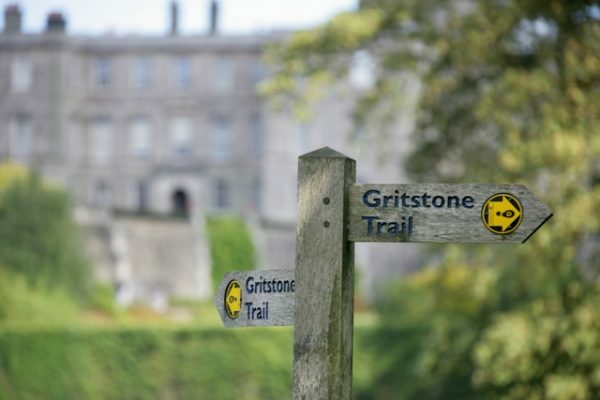 The Gritstone Trail starts at the rail station and Lyme Park (National Trust) is within easy walking distance. Dover is an excellent place to come and explore natural beauty and heritage at its finest! Nestled in between the White Cliffs and the Kent Downs AONB the town hosts a fantastic range of shops, pubs, brewery and accommodation providers, all giving walkers visiting Dover a warm welcome. 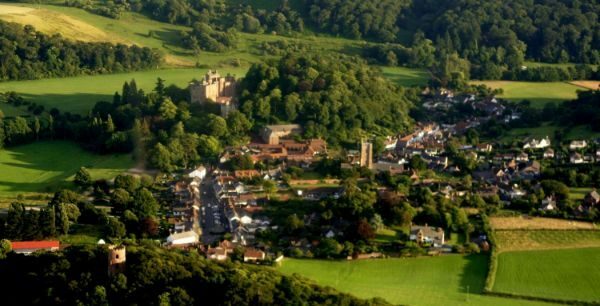 Dunster is probably the best preserved medieval village in England with its cobbled streets and historic buildings including Dunster Castle, the Tithe Barn and ancient Yarn Market. With its location being within Exmoor National Park there are hundreds of miles of waymarked paths to explore, both linear and circular starting from the village. Dursley was originally renowned for its woollen cloth, and later enjoyed worldwide fame with the renowned Lister-Petter engines. 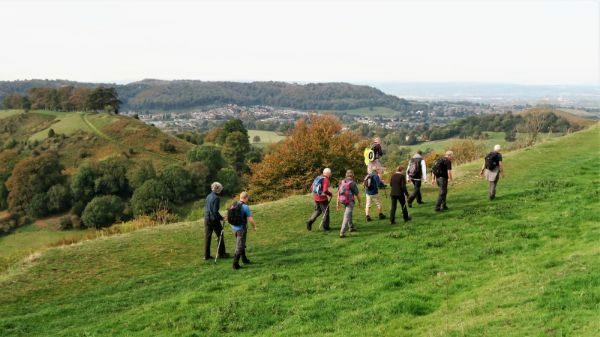 Dursley is situated on the Cotswold Way in a wooded valley under the Cotswold escarpment and the surrounding countryside offers many attractive walks. A charming sleepy old village full of historic interest nestling in the beautiful Elham Valley in the Kent Downs Area of Outstanding Natural Beauty. This is where Audrey Hepburn spend her childhood.... what more can we say? 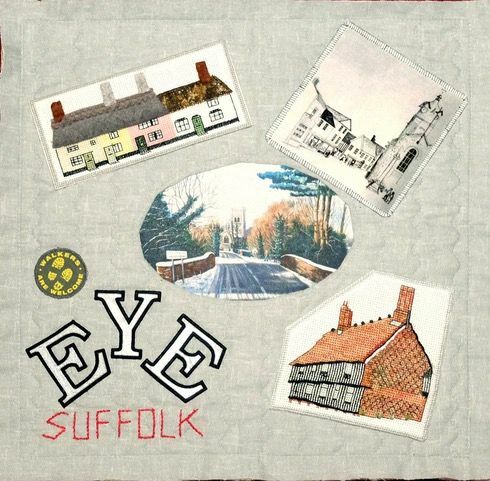 Eye is a “small but perfectly formed” market town in North Suffolk, close to the Norfolk Border. It is an historic town with many listed buildings and a Town Hall designed by the “rogue” architect Sir Edward Buckton Lamb in 1856. 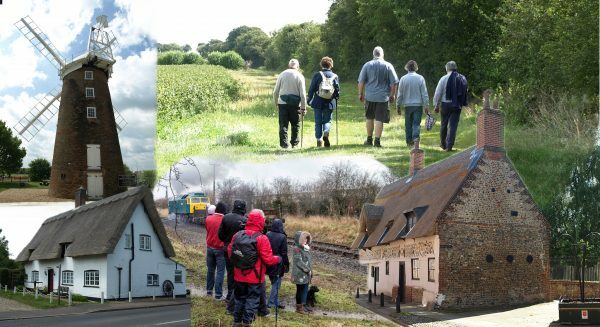 Set in a beautiful undulating rural area, famous for its East Anglia enormous skies, you will be able to enjoy walks along grassy footpaths and country lanes returning to the town for a bite to eat or even stay over at a B&B. The pub and the local shops are ready to welcome you. 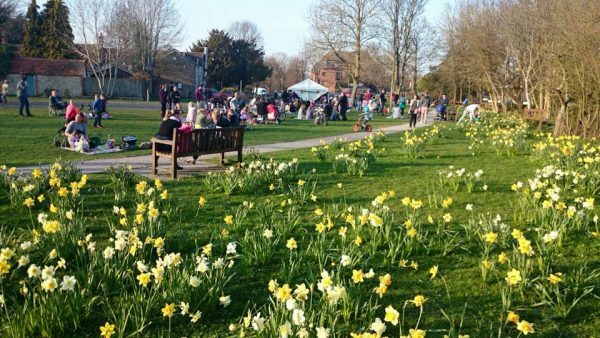 You may even catch a local event in full swing! a town where Walkers are Welcome, and a good place to visit. Fairford, a lively, small market town in Gloucestershire (population C5,000), welcomes visitors, especially walkers. 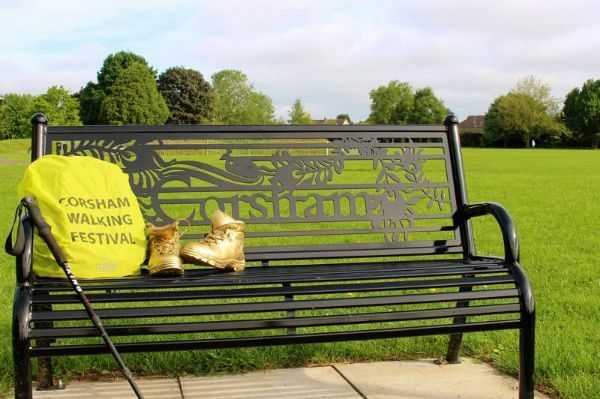 Our walks leaflets will help you appreciate the local area and its history. There’s something for everyone! Forres is a former royal burgh situated in the north of Scotland. We are surrounded by a rich variety of landscapes, from the Moray Firth coast, to open moors, forests and river gorges; a wealth of historic sites; fascinating wildlife and world-famous distilleries. 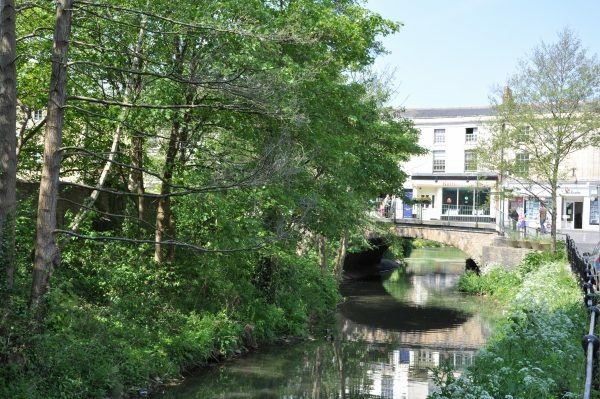 Frome is a welcoming, charming and vibrant town with a wealth of history, culture and natural beauty. Packed with historic buildings, beautiful independent shops and creative people, Frome is a wonderfully eventful town. It is the perfect destination for discerning tourists looking for something a little bit different. Gillingham is in Dorset, on the mainline from Waterloo to Exeter, providing a gateway to the Blackmore Vale (Hardy's vale of the little dairies). Three rivers meet here and linear parks along them provide enjoyable short walks. This is undulating farming countryside reaching towards the chalk downland of Wiltshire. Golcar and Slaithwaite are two mill towns located in the Colne Valley to the west of Huddersfield. 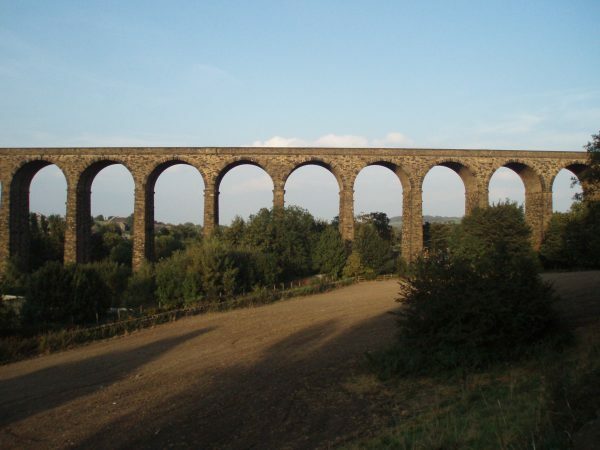 The area has a rich industrial heritage and a wide range of valley, moorland and canalside walks.